On March 31, 2009 from 8PM-12:00 AM the Levy County Sheriff's Office and the Inglis Police Department will be conducting a DUI, driver license and a vehicle safety check point on Highway 40 in front of the Inglis Town Hall. Drivers are asked to have their drivers license, registration and insurance card ready at the check point. Morriston, Florida-Shortly after 7:00 AM Levy County School Bus # 9691 was stopped in the northbound lane at 7911 SE Highway 41 picking up two students. The School bus had both stop signs out and the amber lights on when a vehicle struck the rear of the bus. Involved in the accident were a total of ten people. Five students were on the bus and two students were boarding the bus when the accident occurred. A student that was boarding the bus had minor injuries and was treated and released at the scene. Tracy Haley, the driver of the bus, did not sustain any injuries. The driver of the second vehicle died as a result of the crash. The drivers name has not been released until notification of relatives and loved ones. An infant child was a passenger in the vehicle and was taken to University of Florida Shands Hospital with minor injuries. Levy County School Board Superintendent Bob Hasting is on the scene. Mr. Hasting has prepared extra counselors at the Williston schools. The Florida Highway Patrol is on the scene investigating the traffic crash. 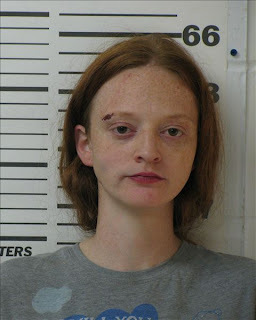 Bronson, Florida-On March 25, 2009 Deputy Maddox arrested Amanda Peacock for child abuse and criminal mischief. Shortly after 9 PM Deputy Maddox responded to 13071 NE 75 Place Archer, in reference to a disturbance. Upon arrival Deputy Maddox made contact with the victim who advised that he and Peacock were arguing because he left Peacock and went back to his wife. During the argument the victim got in his vehicle to leave the property and Peacock rammed the victim’s car with her own vehicle. There was over $ 1,500 in damage. Peacock had her 8 month old child in the back seat and the child was not injured during this incident. Peacock admitted to Deputy Maddox that she was mad and rammed the vehicle out of rage. 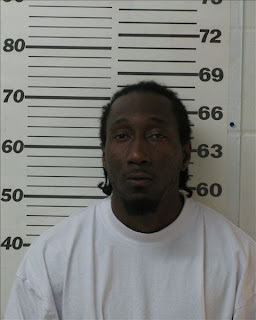 Williston, Florida-On March 23, 2009 the Levy County Sheriff’s Office Drug Task Force arrested Oliver Louis Williams for sell of cannabis, possession of cannabis with intent to distribute, sell of cocaine within 1000 feet of a school, possession of cocaine, resisting arrest without violence and possession of drug paraphernalia. In February undercover Agents purchased narcotics from Williams on two separate cases. The first undercover buy Agents bought 4.2 grams of cannabis at the Williston Arms Apartment. The second narcotic buy was crack cocaine at 335 SW 1 Ave within 1000 feet of Williston High School. On March 23, 2009 Agents went to William’s apartment to arrest him for the drug buys. Drug Agents and uniform patrol deputies knocked on the front door and told Williams he was under arrest. Williams was told to get on the ground and he refused their lawful orders and he retreated back inside the apartment. Williams was subsequently subdued and arrested for the listed charges. In plain view Williams had a marijuana pipe and he was additionally charged. Chiefland, Florida- On March 29, 2009 unknown person(s) entered a residence located 12590 NW 82 Court Chiefland and stole sixteen (16) firearms. The burglary occurred between midnight and two in the morning. The firearms the suspect(s) stole were shotguns, rifles and handguns and anyone with information is asked to call the Levy County Sheriff’s Office or you can remain anonymous and call Crime Stoppers at 1-877-349-8477. Chiefland, Florida- On March 26, 2009 Corporal Rick Rogers arrested Richard Wayne Perry for carrying a concealed firearm, possession of methamphetamine, possession controlled substance without a prescription and possession of precursor chemicals. 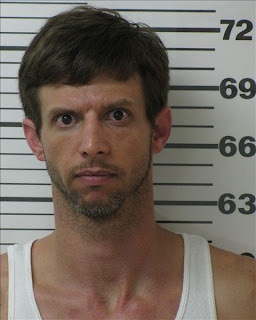 Corporal Rick Rogers with the Drug Task Force received a phone call from the Wal-Mart security that white male was acting suspicious and purchased items known as precursor chemicals to manufacture methamphetamine. The suspect purchased ephedrine pills, Coleman fuel and lithium batteries and left the store in a Ford Ranger truck. Corporal Rogers located the suspects’ vehicle and a traffic stop was conducted at 13000 block US Highway 19/98. Corporal Rogers noticed that when the driver, Richard Perry was searching for his registration to the vehicle he attempted to conceal a silver 5 shot derringer inside the center console. The suspect was immediately detained and a search was conducted inside the truck. Perry had a loaded 20 gauge shotgun and deputies found .3 grams of methamphetamine inside a magnetic hide-a-key and one pill that was identified as 10 mg. methadone which is a schedule II narcotic without a prescription. Additionally there were three packs of pseudo pills, one pack of eight lithium batteries and one gallon of Coleman fuel that is needed to manufacture methamphetamine.